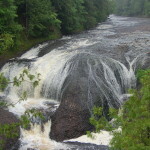 With more than 200 waterfalls in the Upper Peninsula, most visitors tend to focus on the larger ones (Tahquamenon, Bond, etc. 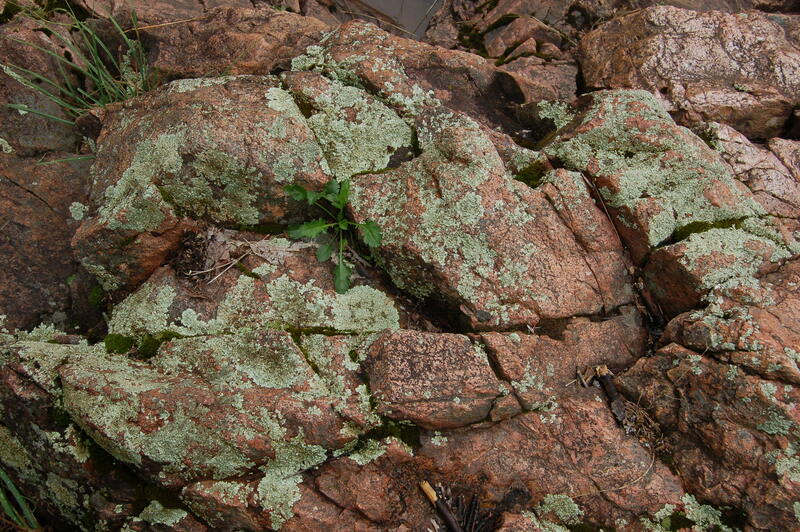 ), but beauty can be found in some of the small ones as well. 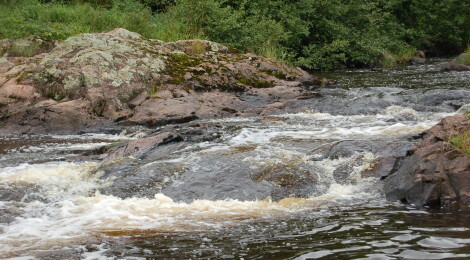 Granite Rapids south of Bessemer in Gogebic County features a small drop on the Black River just a few miles from the site of the first discovery of iron ore in the area. 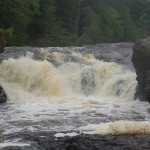 The river is about 10 feet wide here as it is squeezed between the pink-hued rocks from which it gets its name. 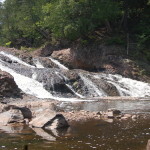 This waterfall won’t wow with its size or strength, but will rival any as far as solitude is concerned. 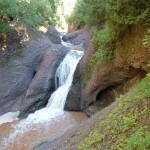 If you’re in the area to check out any of the historical attractions, or want to see the Black River before it makes several bigger and more beautiful drops (Gabbro Falls, Potawatomi Falls, Great Conglomerate Falls, Gorge Falls, Sandstone Falls, Rainbow Falls) before reaching Lake Superior. Directions: From US-2 in Bessemer turn south on Moore St and follow it for a few blocks and its intersection with 1st Ave. Turn right on 1st Avenue and follow the as it curves left as Spring Street. Stay on the Spring Street for almost a mile and then turn left on Johnson Road. After 1.5 miles on Johnson turn left on W Harding Road, which will eventually turn to gravel. 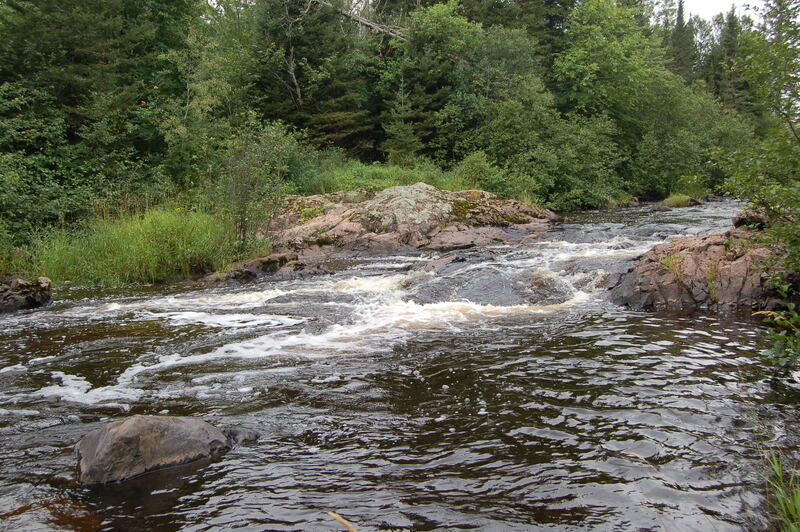 After the gravel starts, take the second right/Black River Lane and follow to its end. 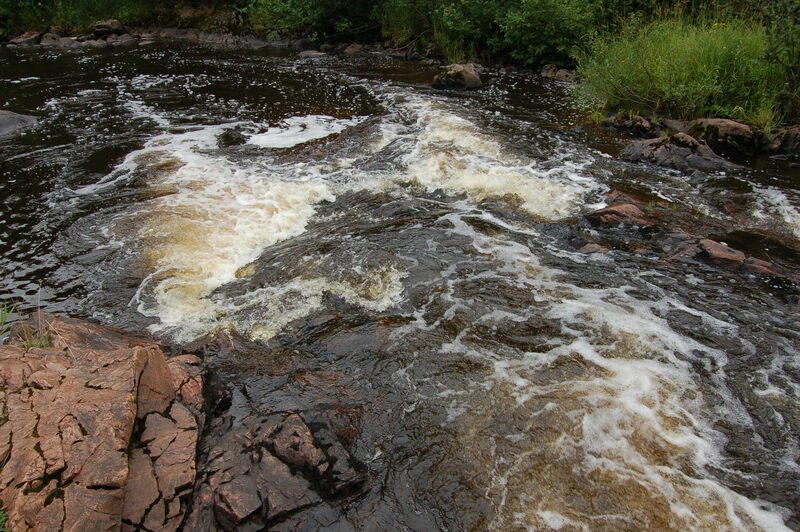 You’ll be able to see the river, and several footpaths lead in for a view of the rapids.